Anna, Sara and Joey had let their website, Twitter, and other online properties idle while they planned and plotted their next move. In early April, they began their word of mouth campaign to raise interest among their friends and previous attendees and on April 15, the press release went out to the world to announce the event at Connolly’s in New York City. The model for the event was the same as the previous event at the Roger Smith Hotel, volunteer attendees would supply cupcakes and sponsors would supply prizes for raffles, tickets for which would be sold at the event. This had proven effective in November and allowed them scale up using without figuring out the basic logistics from scratch again. 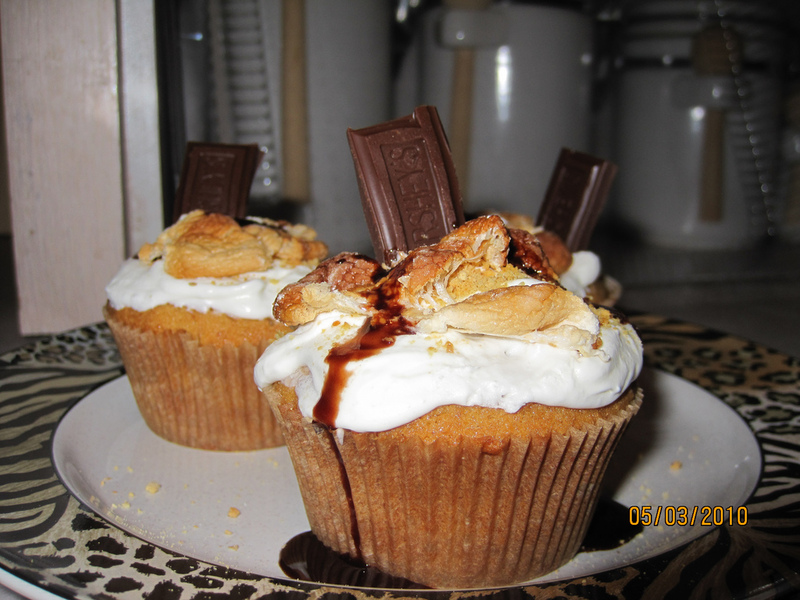 A week before the event, I randomly came up with the idea of possibly baking S’Mores Cupcakes to contribute to the event. With some Googling, I found a recipe on Cupcakes Take the Cake, and decided this would work with a few modifications. First I felt like there wasn’t enough chocolate and marshmallow represented, since the cupcake itself was graham cracker and the only chocolate and marshmallow was in the topping. I rectified this by adding chocolate and marshmallow to the middle of the cupcake then topping it with whipped vanilla frosting, toasted marshmallows, some chocolate syrup and a piece of chocolate on top. Admittedly most of the topping idea came from the recipe description, but I think I made a rather unique treat, and it was one of the first, if not the first, cupcakes to sell out of its two dozen. Even the raffle was bigger this year. Prizes included Croc shoes, dvds and blu-ray gift packs, beauty bags, a hotel stay, bar and restaurant gift certificates, a digital picture frame and an autographed Justin Tuck football. Last year, I won a Dyson hand held vacuum, so of couse I had to attempt again. 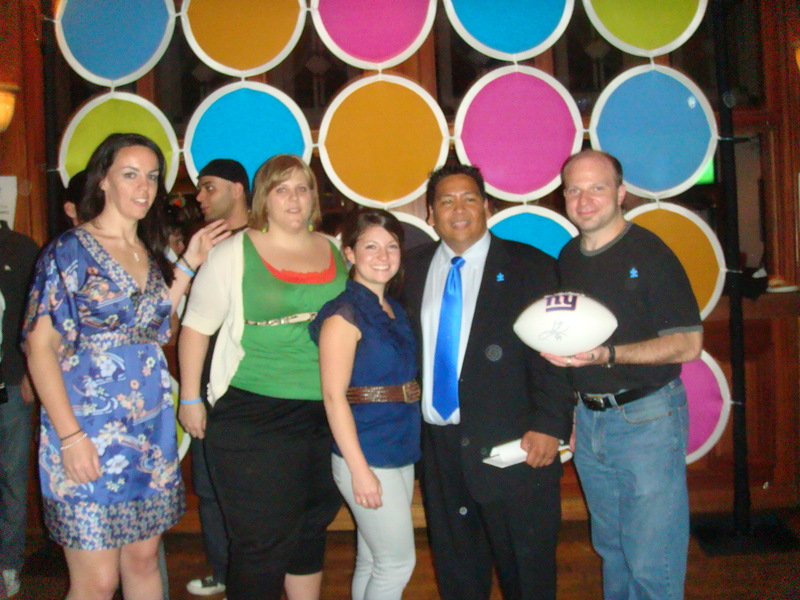 My success this year came in the form of the New York Giants Superbowl football autographed by Justin Tuck. 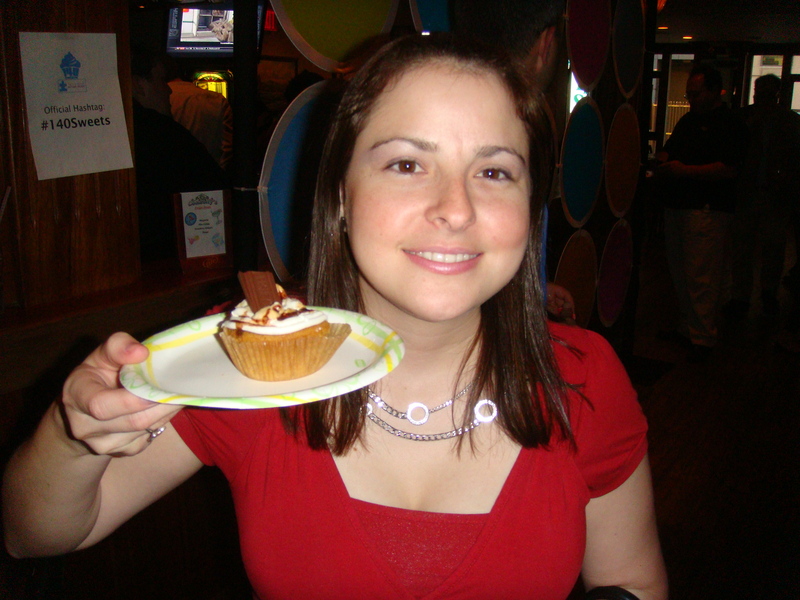 The second cupcake event by the rechristened 140Sweets was bigger, better and raised even more money than last time. Although Sara, Anna and Joey are once more exhausted from their endeavor, we know know Autism Speaks was grateful for such a successful event that helped raise money and awareness. Personally, I am looking forward to the next cupcake event 140Sweets plans.